Recently the Nintendo Download has been more indie than anything, and I’m not complaining. While I love big name games like Project Octopath and the like, indies are what keep me coming back to any platform. So there is some quality stuff in the Download this week, but it’s also very short and sweet. So let’s start with another popular game coming to the Nintendo Switch. 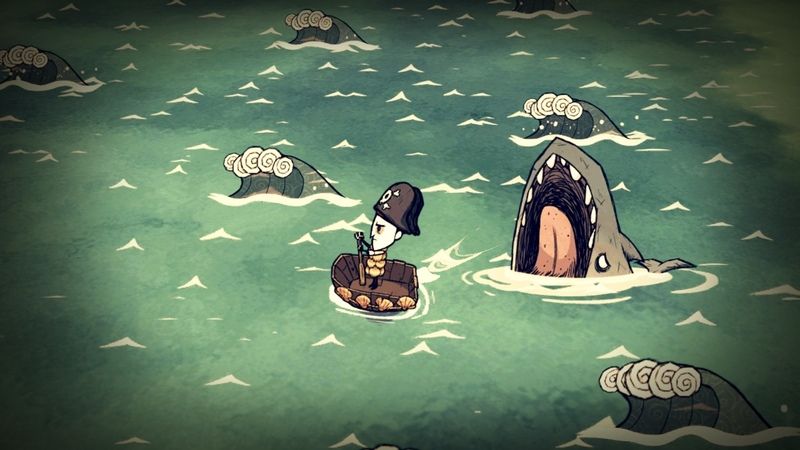 If you’re a fan of Klei, you’ve probably heard of Don’t Starve. This quirky series has had multiple editions, but this is the first time Don’t Starve is coming to the Nintendo Switch. 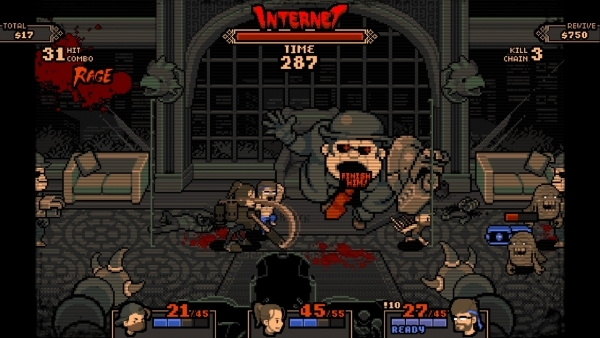 Surviving in a strange world has a certain appeal, and this edition of the game looks to come packaged with the DLC such as Reign of Giants and Shipwrecked. While I haven’t played the game yet, this might be a good time to start. Next up, we have a bunch of compelling sales happening via the Game Guide. If you’re not a fan of shovelry yet, you’re in luck, since Treasure Trove (3DS, Wii U, Switch) is down to $19.99; for those who already own the base game, you can pick up Specter of Torment (Switch) for only $7.99; if you’re a fan of insane twin stick games, The Binding of Isaac: Afterbirth+ (Switch) is down to $31.99; for fans of time travel and classic RPGs, you can’t go wrong with Radiant Historia: Perfect Chronology (3DS) now for $31.99; to scratch that Metroidvania itch, you can try out AeternoBlade (Switch) for $13.49; if you like punishing yourself with platforming, The End is Nigh (Switch) will put your skills to the test for $11.99; for more colorful platforming, you should check out VVVVVV (Switch) for $7.99; for a little adventure, Ittle Dew 2+ (Switch) is cheaper at $23.99; Revenant Saga (Switch) is somewhat affordable at $9.09; for fans of quick fix platforming, Knight Terrors (Switch) is only $2; if you wondered what 2D Conan would look like, you can try Tiny Barbarian DX (Switch) for $23.99; for a handheld mystery, Parascientific Escape – Crossing at the Furthest Horizon (3DS) is only $4; for a rogue Resident Evil experience, check out Vaccine (Switch) for $6.99; if you haven’t played it on enough consoles, check out Cave Story+ (Switch) for $23.99; and lastly, SHMUP fans might enjoy Graceful Explosion Machine (Switch) for $6.49. To see the rest of the discounted games, just click here. Lastly, there are some new digital games to enjoy starting today. For the retro connoisseur, you might appreciate the latest ACA NEOGEO game, the puzzling Gururin. If you want a simple RPG, Asdivine Hearts might be for you. Fans of Psikyo can rejoice in Dragon Blaze coming to the Switch. If big voxel worlds are your thing, you might enjoy Eternal Edge. If you want something utterly strange sounding, check out Burly Men at Sea or Streets of Red – Devil’s Dare Deluxe. 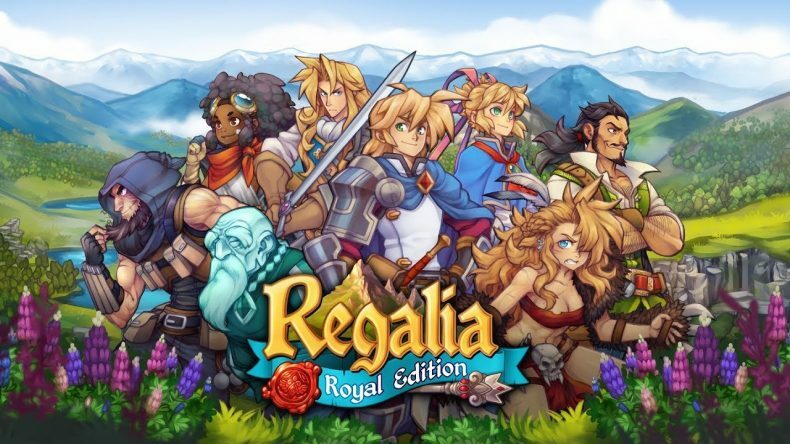 For those in need of charming old school RPGs, you must check out Regalia – Royal Edition. And finally, a special mention for Bombslinger. Though it technically came out yesterday, it’s a truly fantastic tribute to Bomberman, though you can find out more when our review and impressions go live next week. Not bad for a slow week, eh? Thanks for reading, and check back with oprainfall next Thursday for the latest in Nintendo Download goodness.